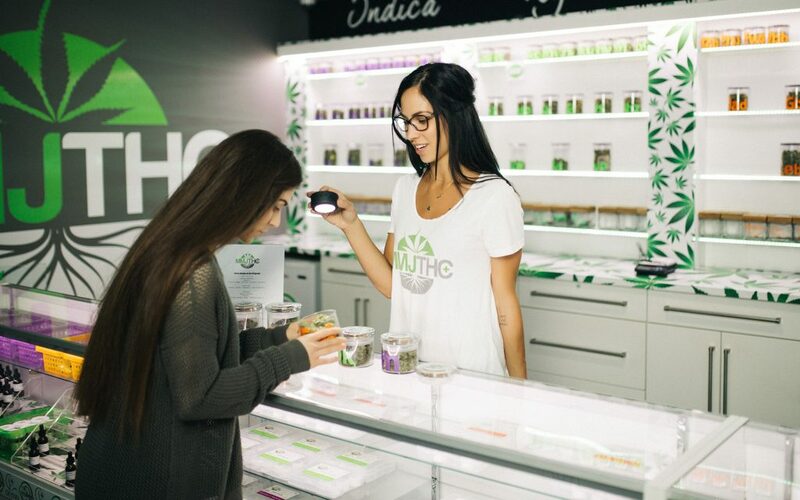 It takes a passionate and knowledgeable person to truly thrive in the cannabis industry, and Jeffrey Gaudette, president of MMJ Total Health Care, embodies both to the fullest. With 20 years of experience under his belt, Gaudette aimed to open “a high-end medical dispensary with a focus on educating patients.” His educational achievements (he graduated as double valedictorian from Oaksterdam University in Oakland, Calif.) and his personal choice to visit over 150 cannabis clubs in California prior to opening his own doors (in order to gauge “customer service, products, layouts, and how to make this experience better”) speak even more highly of his dedication to the cannabis plant. Gaudette readily acknowledges his good fortune in owning hydroponic stores, to which he attributes an “upper hand on selecting farmers and pairing them with strains [they] purchase from seed companies.” This capability also lends itself to MMJ THC’s vast selection. Gaudette states, “Every year we purchase seeds and select growers to give us a wide variety of strains for a wide variety of pains,” attempting to address any negative symptoms his patients might experience. 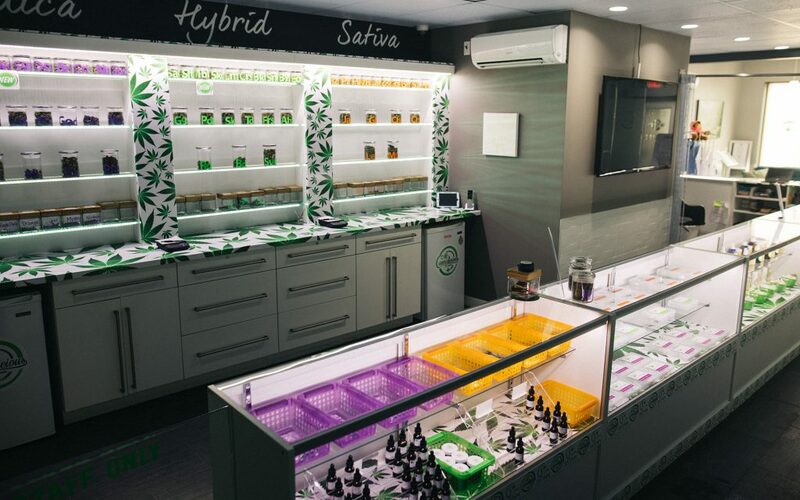 To bystanders and patients alike, it’s clear that Gaudette and his team sincerely care about every individual who walks through the dispensary door. 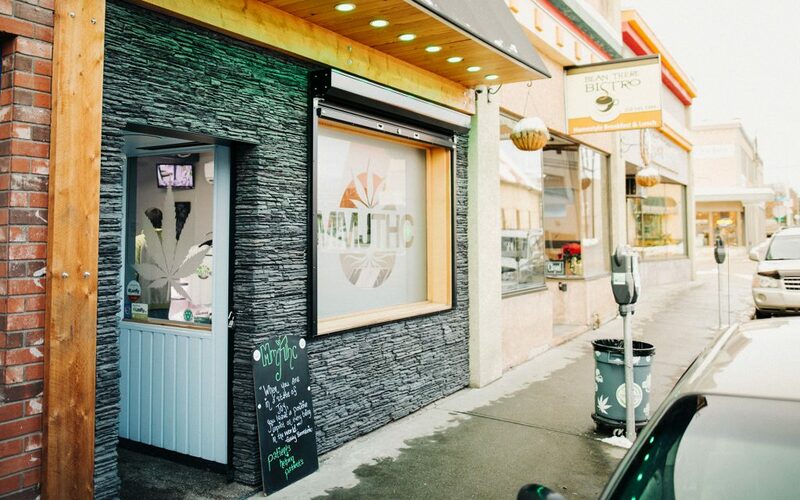 We recommend visiting MMJ THC in the morning, then making a pit stop at the Naked Pig for some delicious breakfast. Afterward, catch a cheap matinee at the local favorite discount theatre, Vernon Towne Cinema. *Editor’s note: Tilray and Leafly are both owned by Privateer Holdings. The staff is passionate, friendly & well versed. Enjoyed my experience.